Earlier this week in the Blackroom Cafe, Chasity Cook had a show previewing some of her original songs for her upcoming senior recital. 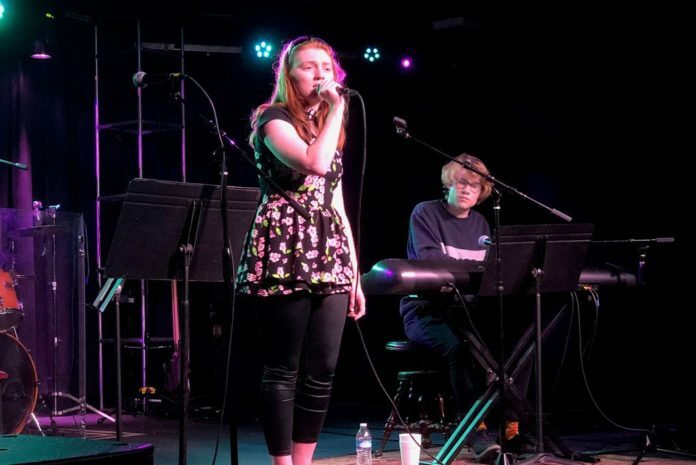 Emelia Ferrero and Joey Unger opened for her, with guest performers such as Dale Shelburne, Annah Peterson, and Nathan Moll. Chasity had guest performers as well, including Dylan Triplett, Nathan Moll, Isaiah Carlson, and Devon Oregon. Check out the Blackroom Cafe facebook page as well as ENT Co. for any upcoming events! Chasity and Emelia in the Blackroom Cafe! Hello! My name is Marissa and I am from Springfield, MO. I am a Digital Media and Media Communications major, and I love making videos at GU!